Duan Yingmei is a curious observer who asks questions of all facets of life in order to continuously learn and develop. For the past fourteen years she has concentrated her energy and creativity on making performance art and researching the medium. 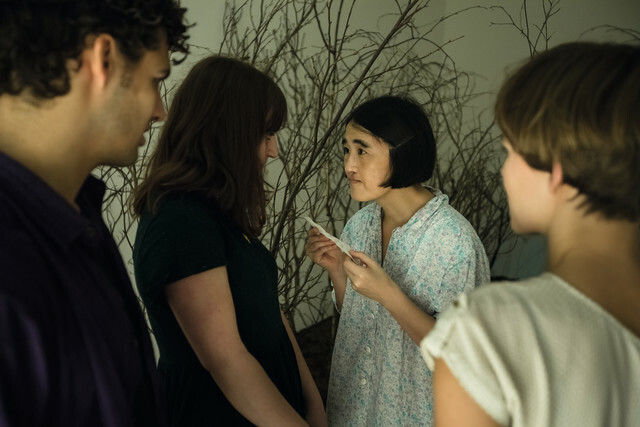 Much of Yingmei's performance art explores human instincts such as fear and desire. Various different themes inspire Yingmei and are reflected in her work including examining society and questioning its conventions and human behavior. Within her performances she crosses mediums and often incorporates sound, video and installation. She spontaneously develops performances as situational experiments and on the other hand she can also plan her performances with intense attention being paid to the last detail. Besides her solo projects Yingmei loves to work with people from different cultures, ages and areas of life and has realized over seventy collaborative performances. Her artworks frequently in progress can stretch over long periods of time. Duan Yingmei was born in 1969 in Daqing, in the Heilongjiang Province of China. She is currently based in Braunschweig, Germany. In 1989 she graduated from the Northeast Petroleum University in China and in 1991 she began her artistic development. She engaged in advanced studies - oil & mural painting, design and sculpture at the Central Academy of Fine Arts and at the Central Academy of Art and Design in China. She has worked in Beijing as a freelance artist until 1998. Duan Yingmei is part of the Chinese avant-garde working creatively for many years living in the legendary art district of Beijing’s East Village. In 1995 she participated in the performance “To Add One Meter to an Anonymous Mountain”, considered to be one of the iconic works of Chinese contemporary art. Being based in the East Village between 1993-1995 prompted her curiosity, which led to her interest in performance art and has had a great impact on her later art career. The final turning point came when she began to study in Germany at The Braunschweig University of Art (HBK) in 2000, where she got to meet the performance artist Marina Abramović. Since that time Duan Yingmei has dedicated herself to performance art as her artistic expression. There, she also studied and worked with the filmmaker and action artist Christoph Schlingensief, participating in several of his large-scale video performance installations. Duan Yingmei has made her name in numerous national and international exhibitions, festivals, residencies, lectures and workshops through her performance art. Her work has been shown in, among others, the Van Gogh Museum in Amsterdam (2005), The Venice Biennale in Italy (2007), Haus der Kulturen der Welt in Germany (2009), Guangzhou Live in China (2010), Lilith Performance Studio in Sweden (2011), Hayward gallery in London (2012), Glynn Vivian Art Gallery in Swansea in Wales (2013), He Xiangning Art Museum in China (2014), The 19th Biennale of Sydney in Australia (2014) the Solyanka State Gallery in Moscow (2015) and the Fondation Beyeler in Switzerland (2015).